Carolyn was born in Cheyenne, Wyoming and moved to Casper when she was three. She resided there until she graduated from high school. She then moved to Denver and graduated from Parks School of Business where she received her Business Degree. Suffering from severe headaches and being urged by her husband, Carolyn sought out Chiropractic treatment as a last resort . After receiving chiropractic care, her headaches began to leave. Carolyn was hooked! If this treatment could help her that much, she wanted to dedicate herself to educating and helping others find the same relief. In 1985, she was offered a position in the very office that help relieve her of her headaches. She has been working in chiropractic ever since. 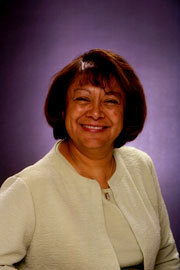 She began working with Dr. Snyder in 1989 and has been his Chief Financial Officer since 1991. Carolyn is married and has two children, Rhonda and Larry Jr. II. She is also blessed with three grandchildren and stays quite busy with their activities. In her free time she enjoys boating, camping, and traveling with her family.